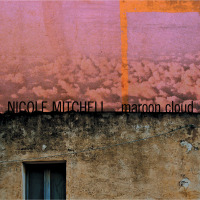 Chicago-based flutist, composer and bandleader Nicole Mitchell has presented her impressive skills in a wide range of contexts, from the intimate Indigo Trio with bassist Harrison Bankhead and drummer Hamid Drake to her flagship band, the Black Earth Ensemble. The later has demonstrated a remarkable ability to move from the eclectic modern jazz of Black Unstoppable (Delmark, 2007), to the harrowing futurism of Xenogenesis Suite: A Tribute to Octavia Butler (Firehouse 12, 2008). She has also contributed her enviable talents to Anthony Braxton's 12tet, the collective quartet Frequency and Rob Mazurek's Exploding Star Orchestra. 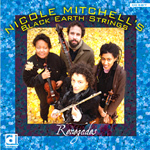 Renegades is the premier of her string ensemble, Black Earth Strings, featuring classical violinist/violist Renee Baker, cellist Tomeka Reid, bassist Josh Abrams and drummer Shirazette Tinnin. 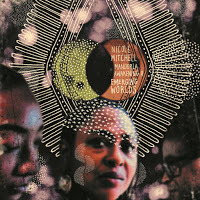 In classic Ancient to the Future tradition, Mitchell, as Co-President of the AACM, embraces myriad genres, augmenting her accessible avant-garde aesthetic with African rhythms, Western classical music structures and aspects of blues, be bop, funk and soul. She infuses her lissome compositions for this string-heavy line-up with the same open-ended approach, ensuing in a lush, vibrant recording. A singular stylist, Mitchell's sweeping flute vocabulary echoes her expansive writing. Extended techniques, including alternate fingerings, multiphonics, changes in tone color and vocal interjections are used sparingly, resulting in a soulful, earthy sensibility. Equally expressive, Baker and Reid employ a plethora of string techniques, from ghostly glissandos and crystalline harmonics to sinewy double stops and pneumatic pizzicato. Abrams' stout bass tone provides a solid foundation while impressive newcomer, Tinnin, adds youthful verve. Abrams and Tinnin also double on ethnic instruments like dumbek, gimbre and tabla, lending authenticity to their more exotic excursions. The quartet brings their effervescent sensibility to an assortment of styles, including free bop ("Renegades"), bebop ("Ice"), swing ("Mama Found Out"), funk ("What If"), soul ("By My Own Grace") and ballads ("If I Could Have You The Way I Want You."). Invoking darker aspects of history, Mitchell draws allusions to slavery on "Wade," with an expansive, lyrical meditation on the spiritual "Wade in the Water." She also toys with cultural preconceptions, setting the hypnotic North African rhythms of "Windance" against the pithy neo-classical excursions of the numbered "Symbology" series, while threading divergent facets of indigenous polyrhythms to austere classicism on "Crossroads" and "Waris Dirie," yielding new hybrids. 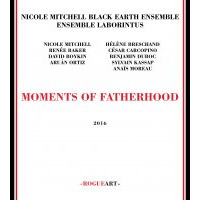 Avoiding eclectic posturing by virtue of her compositional acumen, Mitchell's writing eschews stylistic boundaries to embrace a multiplicity of genres, making each one her own. An endlessly fascinating listen, Renegades is her most compelling record to date, and a sure contender for many end of the year lists. Track Listing: Crossroads; No Matter What; Ice; Windance; Renegades; Be My Own Grace; What If; Symbology #2A; Wade; Waterdance; Symbology #1; Mama Found Out; If I Could Have You The Way I Want You; Symbology #2; Waris Dirie; Aaya's Rainbow. 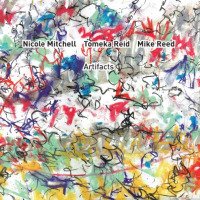 Personnel: Nicole Mitchell: flute, alto flute, piccolo, vocals; Renee Baker: violin, viola; Tomeka Reid: cello; Josh Abrams: bass, gimbre; Shirazette Tinnin: drums, percussion.